For Xbox One owners out there who have yet to check out Xbox Game Pass, Microsoft is offering a 12-Month subscription for just $99. If that weren’t enough, new subscribers will also receive full copies of Forza Horizon 3 and Forza Motorsport 7 to own. 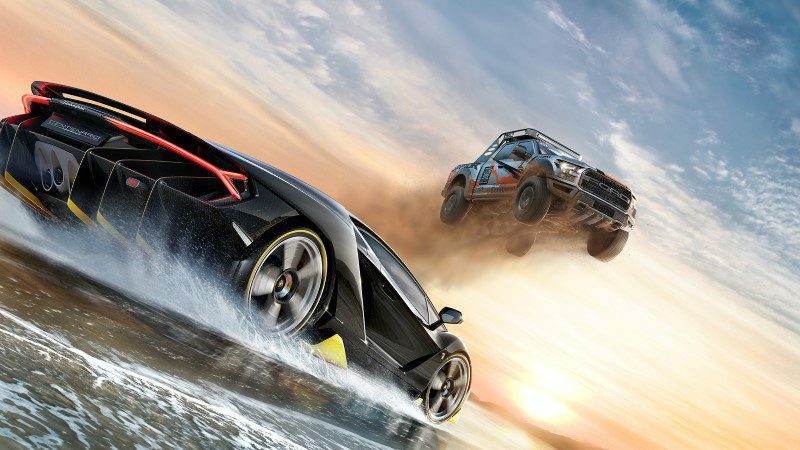 For anybody into racing games, the Forza Horizon and Forza Motorsport series are Microsoft’s critically acclaimed first-party arcade and simulation racers. Forza Horizon 3 currently holds a score of 91 on Metacritic.com, and Forza Motorsport 7 an 82. The next game in the Horizon series, Forza Horizon 4, comes to Game Pass October 2, the same day it launches. Xbox Game Pass is a subscription service for Xbox One consoles that offers users access to over 100 current and previous-generation Xbox games. You may install and play any game in the catalog as much as you’d like as long as you remain subscribed. You also get 20% off any game in the catalog you buy, if you want to keep it forever. The Xbox Game Pass library carries a number of popular Xbox One exclusive games, including Halo 5, Gears of War 4, Sea of Thieves, and Quantum Break, along with other big titles, like Fallout 4, Rise of the Tomb Raider, Hitman, and Doom. New games are being added regularly. Xbox Game Pass normally costs $120 for a full year. This $99 promotion will only last until September 30. Interested Xbox One users can take advantage of this offer through the official Microsoft website here, or by subscribing to it directly from their Xbox One consoles. What do you think? Is Xbox Game Pass a good deal? Drop a comment below to share your thoughts, or ask a question if you’re interested in learning more.